Reckless Invention perform walkabouts & shows internationally. We started making walkabouts in 2002 and in 2004 we made our first street show, Turbo Jonez. Tom Bell started Reckless Invention at drama school in Manchester after a career with Artizani performing walkabouts.  The name Reckless Invention came from an American paper documenting the history of flying trapeze in the 19th century. ‘A Reckless Era of Invention’ spoke about how acts were developed in the early days of circus without the knowledge we have now. More specifically, without the safety we have now. Anarchy has always been an essential part of creation as has risk. During our devising process we seek out the most current directors and clowns to stay true to that spirit of anarchy and individualism, for both our walkabouts and our shows. 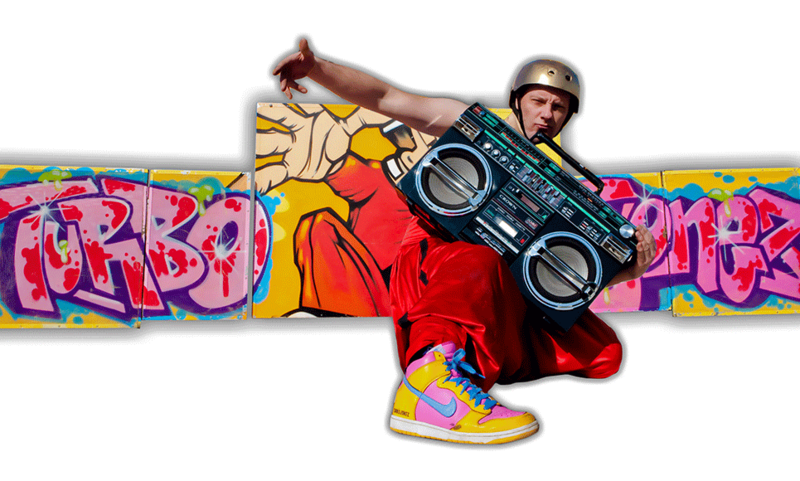 “I have always performed on the street…” says Artistic Director Tom Bell. Swimming pools become skateparks, trains become billboards and the airwaves become alive with music you can’t hear on mainstream radio. Reckless Invention have stayed true to that spirit of Reckless Invention I suppose you could say. The comedy is anarchic yet well poised. It’s not easy to make an 80 yeard old laugh and an 8 yeard old laugh at the same thing. The trick is not to patronise. Old people are young and young people are old. You can never make assumptions, you can only be yourself and make yourself the best performer you can be. We create unique, engaging, celebratory street theatre from the heart, in the spirit of Invention, with just a hint of Recklessness. We have probably worked for most of the councils in the UK at some point. We have toured Eruope and the Middles East performing at arts festivals, shopping centres, corporate events, music festivals, food festivals and many more events. We could be in Belfast one day, Holland the next, back for a couple of days at a town centre event and then off to Dubai for a month. We pride ourselves in being very adaptable. To survive in outdoor events, you have to be. You also have to be very hard working and willing to work in any weather. We make comedy shows, so the audience must laugh or else it's not comedy. We guarantee that we will make your audience laugh. We don't expect fancy dressing rooms, expensive hotels and buffets. All we need to do our job well is access to the event, somewhere to change and some sort of idea where you want us to perform. If we need accomodation then you can't go wrong with a similar standard to Premier Inn.